This is what people who experienced sexual violence often hear. But how do you actually do that and where to start? 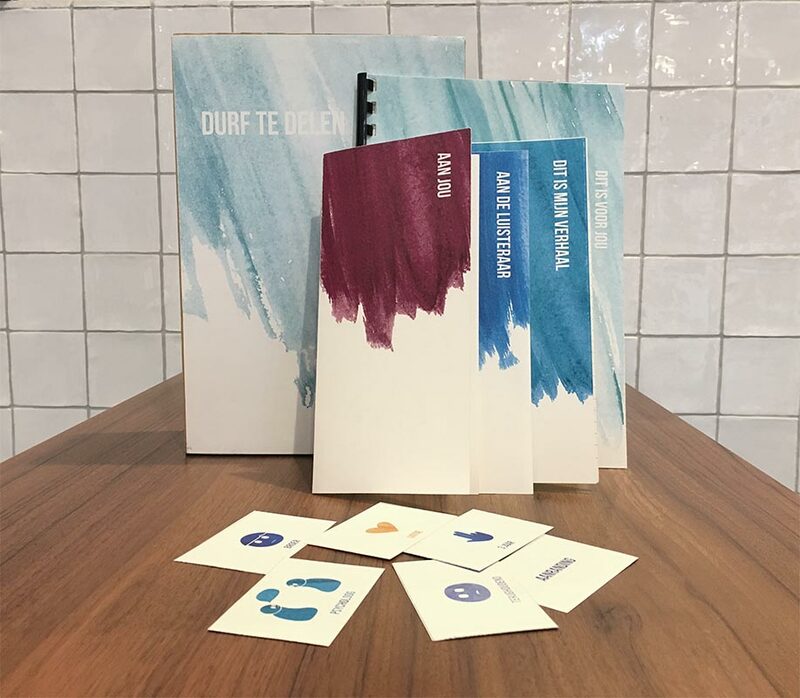 Studio Fij, with support from Invi, developed a toolkit that provides guidance in the conversation about this difficult topic. “Narrators”(victims) often experience difficulties in communicating about their assault with “listeners” (friends, family, others). Overcoming feelings of fear, shame and guilt, telling a comprehensive and coherent story, and expressing the impact of the assault on their daily lives is often challenging. Many experience this as a significant barrier to sharing their story resulting in narrators keeping this to themselves, which limits the ability to come to a constructive ‘sharing moment’, which is often important to the recovery process. How do you respond when somebody shares this with you? Should you ask questions or not; and how can you help without disrespecting the needs of the narrator? Despite these barriers, constructive sharing is essential: it can help to identify needs of the narrator; it can help to find professional help; and can increases chances of the narrator pressing charges which is required for prosecution. To support the narrator and the listener in this process we have developed the toolkit “dare to share”. This toolkit offers various tools to create a constructive share moment. The toolkit is developed in such a way that it offers support for both the narrator and the listener before, during and after the conversation. The toolkit helps the narrator to identify what he/she likes to share with the listener. Different subjects are introduced such as the experience, feelings, needs, and requests. The toolkit supports the listener through information, tips and instructions. Notebook in which experiences can be written down in order to facilitate the structuring of thoughts. Notebook in which the narrator can identify which aspects he/she wants to share with the listener. Handout for the listener that provides guidance on how to respond and act. The toolkit is designed and will be refined based on additional research and a pilot study. The toolkit can be used by people to share their story with others and by professionals that want to use the toolkit in their work with clients.